A damn near indestructible barrel of 165 free-flowing beers. Also: heavy. 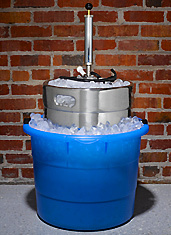 So we thought it was about time we introduced you to a friend who will deliver a keg directly to your home. His name is Jeff, and he’s a very nice guy. But should you require someone more professional, there’s Parkit Market’s Keg Delivery Service, a home delivery system that’s, well, exactly what it sounds like. Imagine this scenario: you’re finalizing the details of your New Year’s Eve party, making sure the mistletoe and mermaids are in place. (It’s an “Under the Sea” theme.) Then, you get a text: it’s Wayne Newton, and he’s in. He never misses a chance to sing “Danke Schoen” in a stranger’s living room. But now you need another keg. 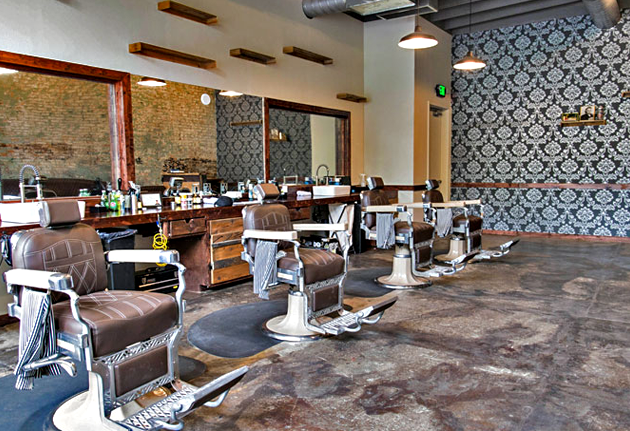 You’ll give these guys a ring the day before your bash. After glancing over the 500-keg-strong menu—options include everything from Rahr Blonde to a $305 Avery Kaiser—you’ll select your barreled beer of choice. Then, the day of your bash, these guys will appear with a keg, a tap, a tub and ice. (They’ll pick up everything the day after.) After they set it all up, you’ll be pumping and pouring out pints. Oh, and Wayne always has the first Kilkenny Irish Cream Ale.